We harvest the material for our dyes from the nature around us. Every piece of silk is hand-dyed with the plants, leaves, flowers, roots and spices of the Indian Himalayas. Guava, grevillea, eucalyptus leaves, marigold flowers, rose petals, red ebony tree bark and Assam tea leaves are some of favorite dyeing ingredients. Each lot of plants, leaves and roots, are gathered locally by the women and prepared for each dyeing session. The cut and dyed silks are naturally dried in the outside air. 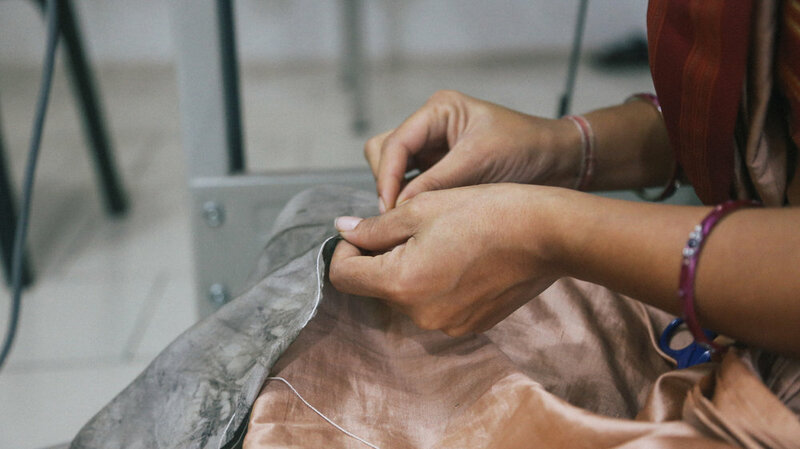 Each silk slip dress is cut, sewn and finished by hand.